•	Experienced in working with LEGO® Mindstorm EV3 or similar programmes e.g. Robotics, MineCraft, Raspberry Pi. •	Demonstrate an understanding & willingness to incorporate math concepts & basic computer programming skills into teaching children. •	Troubleshooting for computer hardware or software with ability to distinguish between the two problem solving & research solutions. 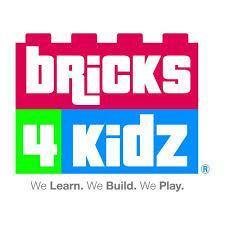 •	Bricks 4 Kidz pride themselves in being fully inclusive working with all children who wish to use Bricks 4 Kidz programmes. Bricks 4 Kidz is an international enrichment franchise which provides play based educational programmes using LEGO® Mindstorm EV3. Each programme has been designed to build, program & experiment with robots creating a learning environment for children aged 8 - 16.